This may seem trivial, but it appears on all SE sites, and possibly affect many users. 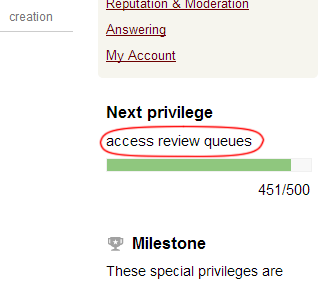 When the next privilege level has two privileges, the progress bar on the right only displays one. 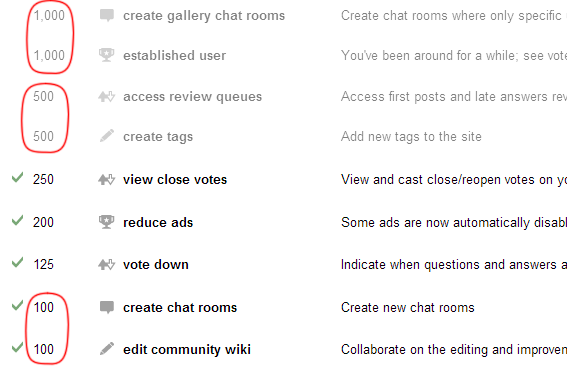 This is at 10, 15, 100, 500, and 1000 rep.
Browse other questions tagged feature-request user-interface privileges-page .